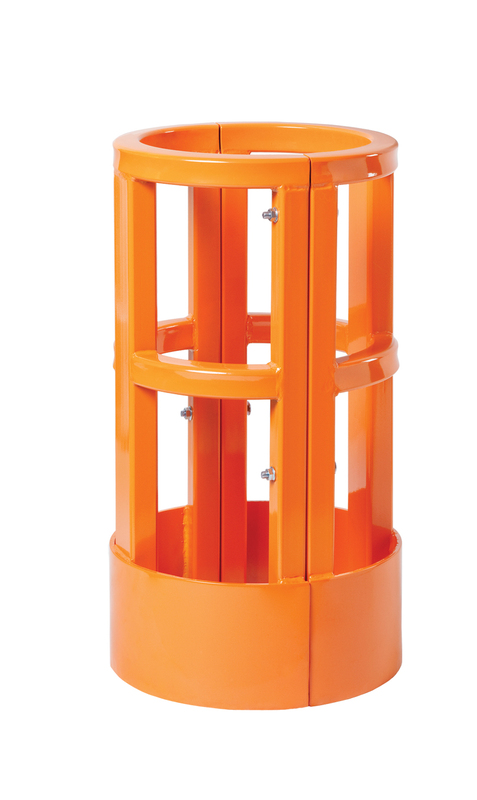 A versatile and cost-effective solution for the repair and protection of damaged uprights. Thanks to its modular nature, the DAMO FLEX can readily be stocked for immediate availability. 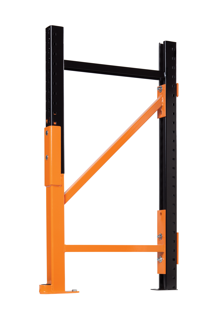 It comes with a 10-year manufacturer's warranty and is designed to fit on any racking system. This combo option repairs both front and back rack columns. We use high-quality structural steel with a heavy gage to offer true impact resistance. All DAMO FLEX kits are shipped ready to be installed. No welding is done on site. We will repair and protect any type of rack, even those that are no longer manufactured. A process called electrostatic spray deposition (ESD) is used to achieve the application of the powder coating to the steel. All our paint is done in-house, in our new facility. Our repair kits also protect the rack column after the installation. This means you no longer have to worry about damaging this location again. Our units are made-to measure in height and size, but we also offer the possibility of choosing a special paint color, galvanizing the unit or modifying the foot plate when requested. Our repair products are permanent, robust, and come with a warranty that provides full peace of mind. Replacing with OEM parts means your uprights remain vulnerable to impact and may get damaged again and again. Lead time for Damotech products is short. Units are ready to ship in two weeks. That's much faster than ordering OEM parts which can take weeks to arrive. The installation process is quick and easy, and unloading is usually not necessary, thanks to the Easy Lift. No need to dismantle and reattach beams, which means less downtime. It's more cost effective and has less impact on your day to day operations. All these reasons make our repair products a smarter solution and a better long-term investment. 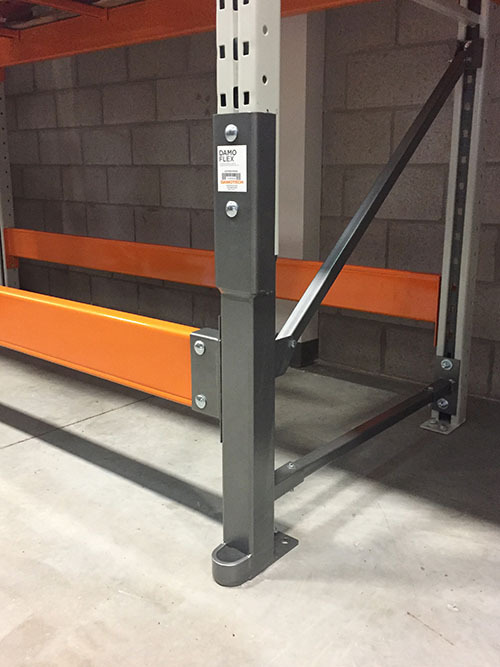 Visit the Why Damotech page to learn why top warehouse operators trust Damotech as their partner for rack safety. 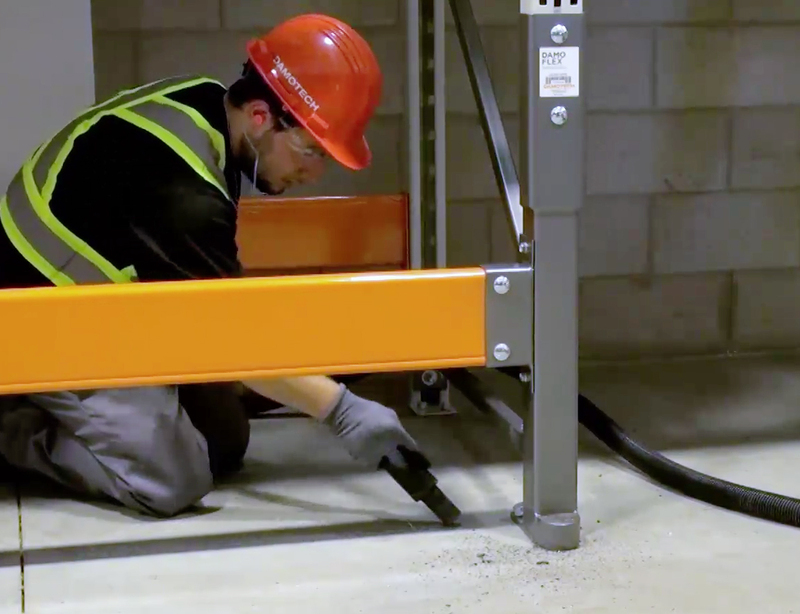 Our rack repair solutions are designed to respect the specifications of your original racking system. They restore the original load capacity while extending their lifespan — safely and permanently. Our experts will visit your warehouse, take all the necessary measurements and specify the right product for each reported deficiency. Our units are made-to-measure for your specific needs. No matter the dimensions, finish (paint color, galvanization), type of foot plate (seismic), or rack configuration, we'll custom build the units to your exact requirements. Because we strive to offer consistent installations regardless of location, all our installers are trained and certified by our most experienced engineers. A standard repair kit can be installed by our certified installers in under an hour. We aim to have your made-to-measure repair units ready to ship in two weeks or less. At Damotech, we stand behind our products. The DAMO FLEX comes with a 10-year manufacturer's warranty. This means that the product you purchase will be free from defects in material and workmanship. 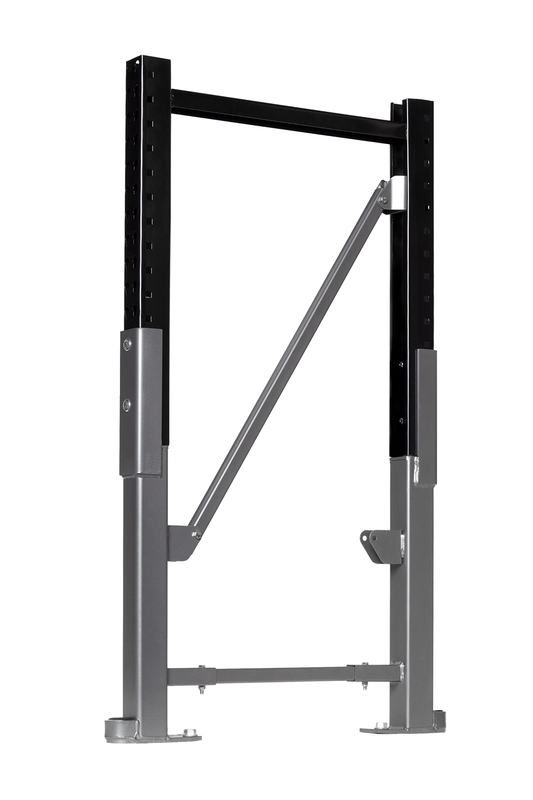 This diagonal brace follows the original configuration of the rack. The cup is adapted to fit any type of rack. The unit is covered in a durable metallic gray powder coat paint. 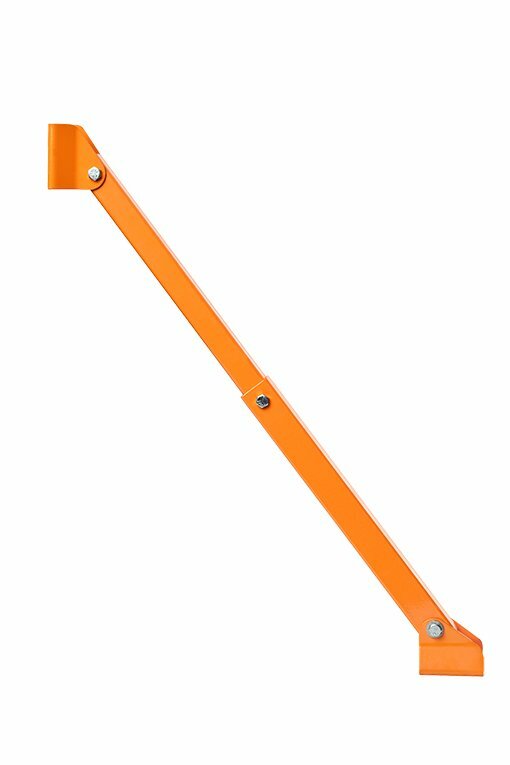 The front post is made of 3/16” thick hollow structural steel, which makes it very resistant. All kits come with high shearing capacity screw type anchors made by Hilti. Foot plates can be customized for seismic zones, can be extended, or come without a bullnose. The bullnose of the unit protects the front anchor against lift damage. Safely managing storage rack systems across a network of warehouses can be overwhelming. With Damotech, we have found an industry partner for education, engineering support, repairs and protection. Their quality and customer service is first class. I have several types of racks in my warehouse. Can you repair them all? Over the last 30 years, Damotech has developed the expertise to repair any type of rack, even racks that are no longer manufactured. We have yet to meet a type of pallet rack that has left us stumped but we are always ready for the challenge! I found damage in my warehouse. What's the next step? As racks get damaged, they may lose some capacity and compromise the rest of the system. We recommended you call Damotech so we can arrange for an experts to survey the damage and offer a solution. How long does it take for your products to ship? By building a new state-of-the art facility and optimizing our production, we've significantly improved our lead time. We aim to have your custom unit ready to ship out in less than two weeks! What kind of paint do you use on your products? Our products are powder coated onsite. This means a high-quality finish that withstands the roughest and toughest conditions. It provides a durable and attractive finish that reduces the risk of scratches, chipping, abrasions, corrosion, fading and other wear issues. What does DBRS stand for? Doubled Back Reinforcement System. 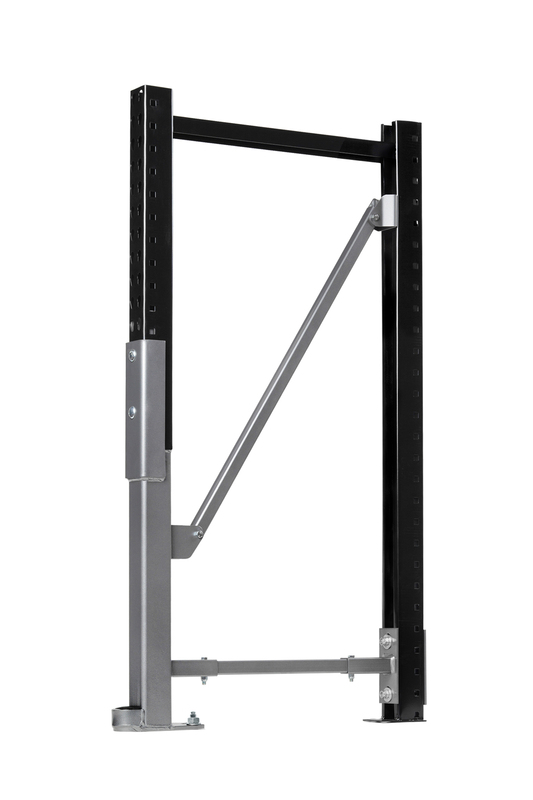 It's a repair unit for both the front and back column of the rack and is available on the PRO and FLEX units. Will you tell me what type of repair kit I need for every damaged location? Yes. Our repair specialist will assess the damage in your warehouse and advise you on what type of rack repair kits you need for every location. 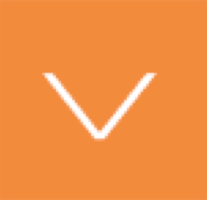 Your quote will contain the location of the damage and the proposed product for that location. 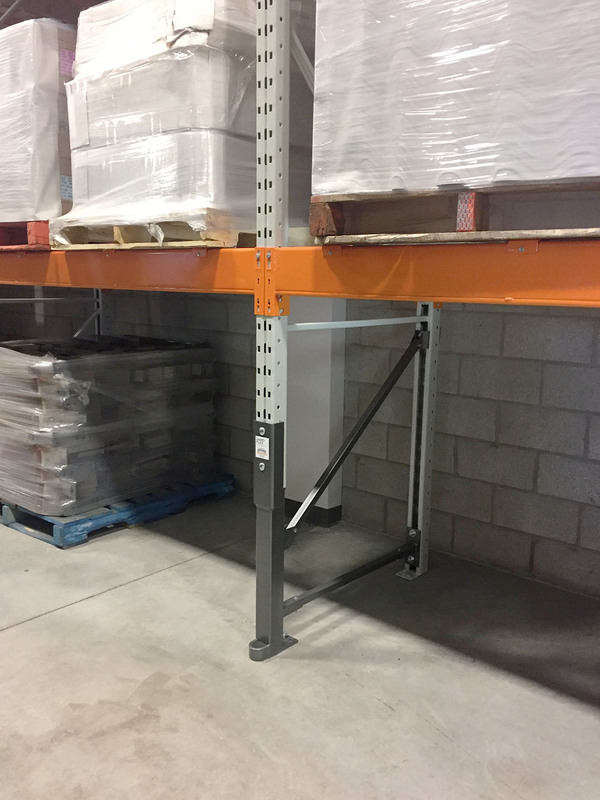 To permanently repair and protect damaged pallet rack columns. A universal and adjustable design to replace damaged or missing braces. A strong and structurally independent protection for warehouse building columns. Want to know more about the DAMO FLEX, schedule a damage assessment, or get a quote?